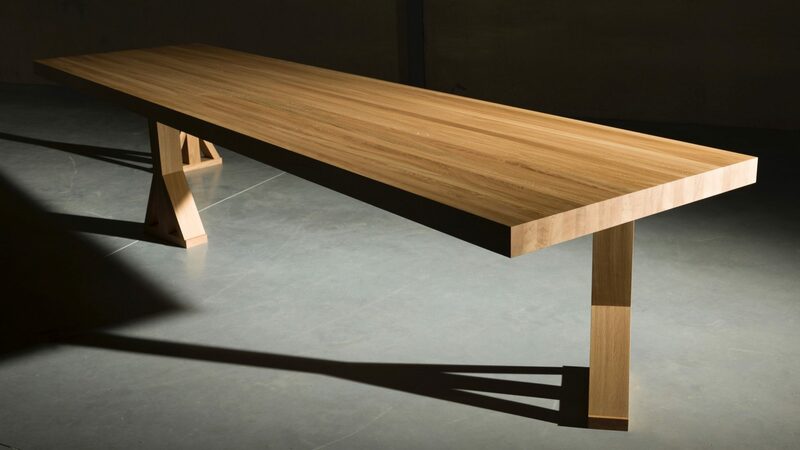 Even the most simple of Casimir’s tables distinguish themselves from others because he makes them of solid materials, applies authentic techniques and constructs them in an honest fashion. 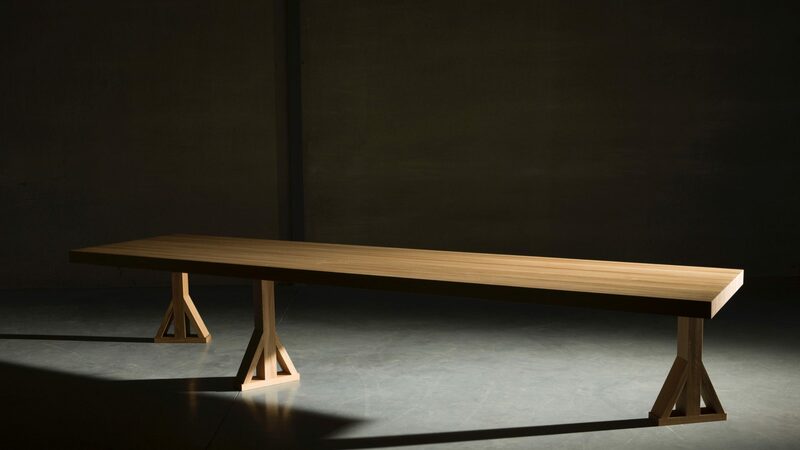 The concept for 'LongTable3' uses only the indispensable basis and constructing elements. 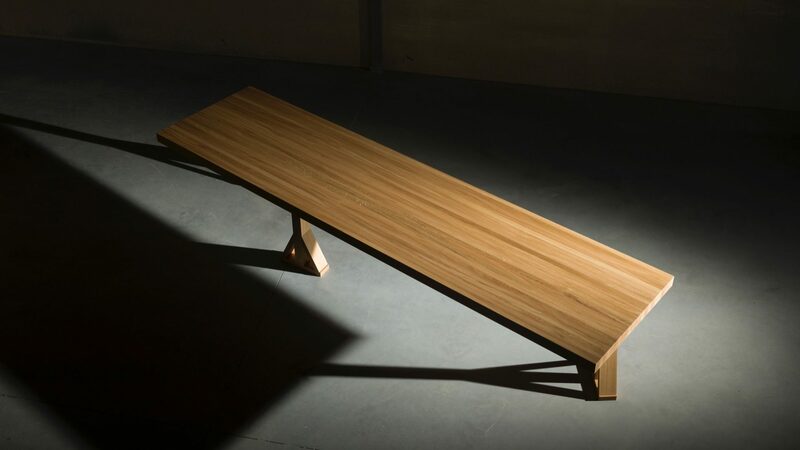 The result is a simple rectangular table top resting on stands. These stands are wooden beams supported from the outside, a technique which Casimir borrowed from industry. 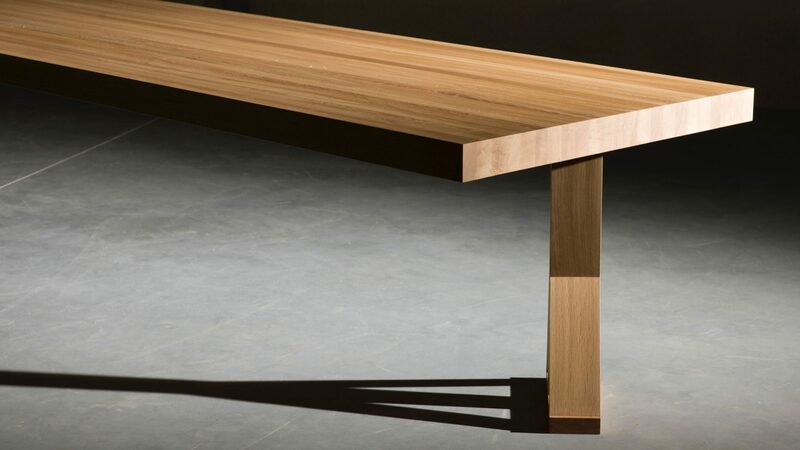 The form of the table and its proportions are harmonious. 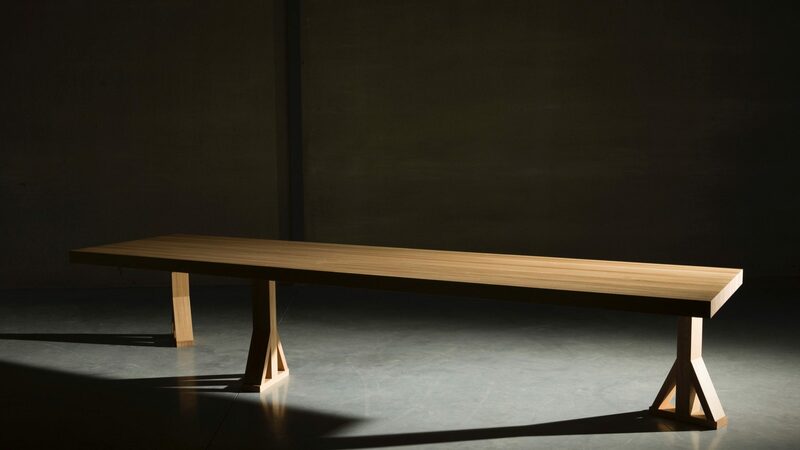 The wood, its figure and its alignment emphasize the table’s three directions: the table top, with the wood grain running lengthwise, forms a bridge over the legs; the beams stress the horizontal, supporting direction and the legs focus on the vertical, perpendicular direction. 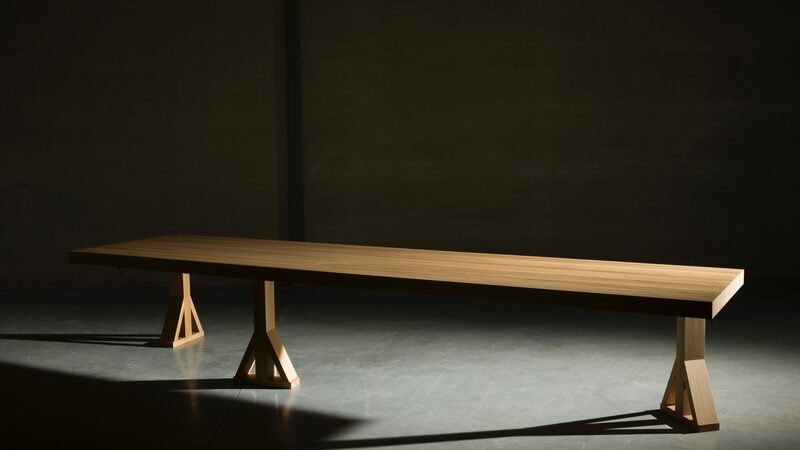 Like all of Casimir's furniture 'LongTable3' is made of solid wood and glue only. Its concept, its form, its construction and its material all add to the table’s solidness. 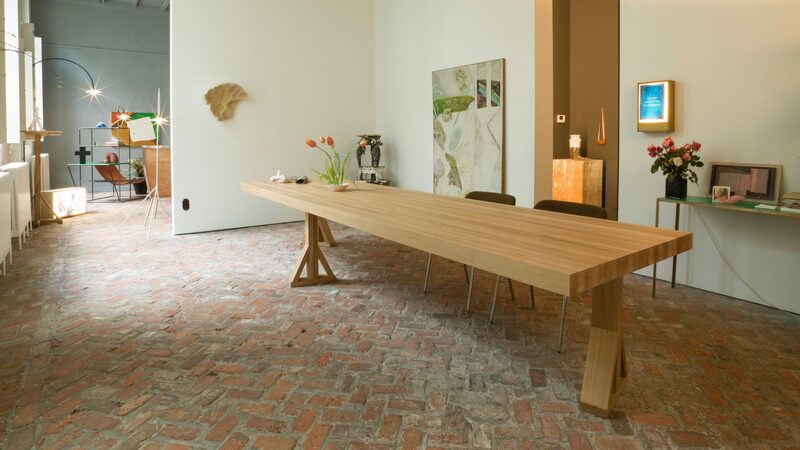 The underlined simplicity and the veracity of construction make this table extraordinary.